The weather was bad today. So I stayed at home and decided to learn something new. I remember to study digital filters in the faculty and it was somehow boring. At the time it was not so easy to create useful and practical examples. 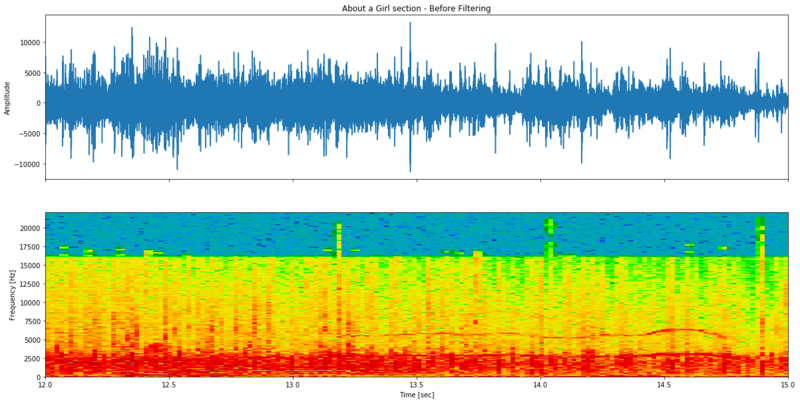 Fortunately nowadays Python exists and it's really easy to play with sound processing as can be seen on this page. Most of the code found on this page was created using snippets found on the internet. 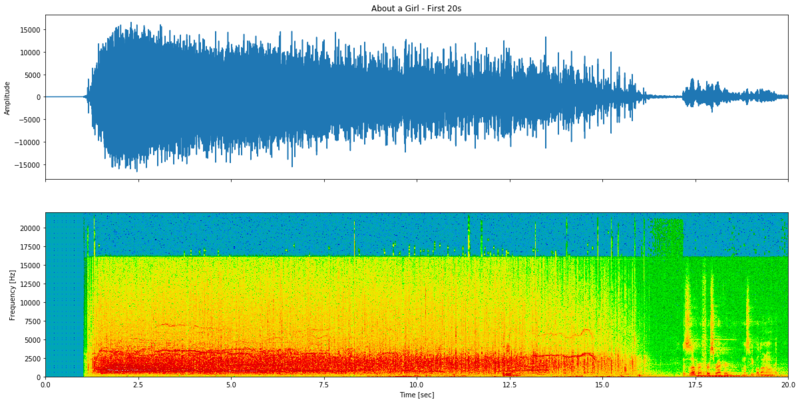 Now lets use a digital filter to extract the whistle between the 13 and 15s in the "About a Girl" intro. In this case a band pass FIR is used. The low pass, high pass and band reject are also implemented as they is be used later. # Normalize to get unity gain. # Create a high-pass filter from the low-pass filter through spectral inversion. # Compute a low-pass filter with cutoff frequency fL. # Compute a high-pass filter with cutoff frequency fH. # Compute a low-pass filter with cutoff frequency fH. 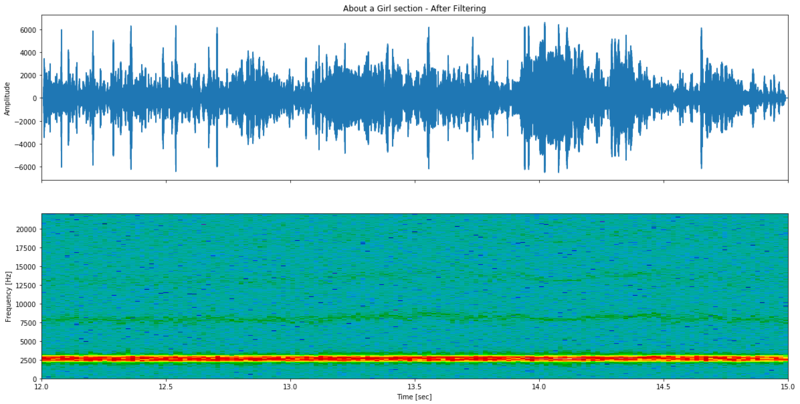 # Compute a high-pass filter with cutoff frequency fL. The predominant sound thought is contained in the first band, and thats the one we will try to filter. The result is not perfect. But it's possible to get the point. 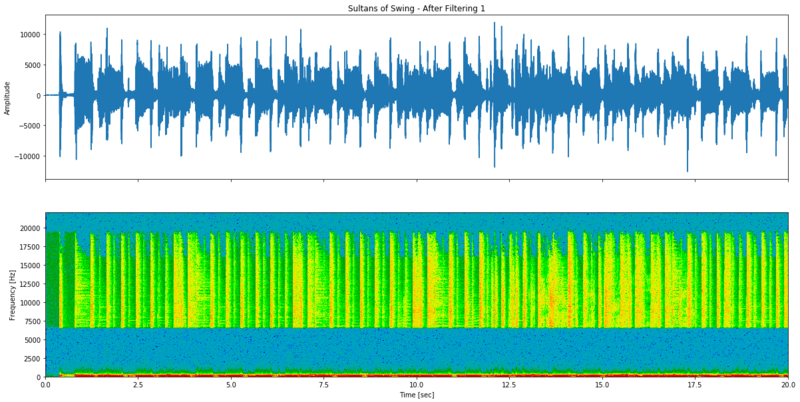 On this attempt, very sharp passband filter is used to remove the frequencies associated with the voice. After some tuning, the cutoff frequencies were selected to be around 300Hz for the low pass filter and 6660Hz for the high pass filter. Two passes was used in this case. 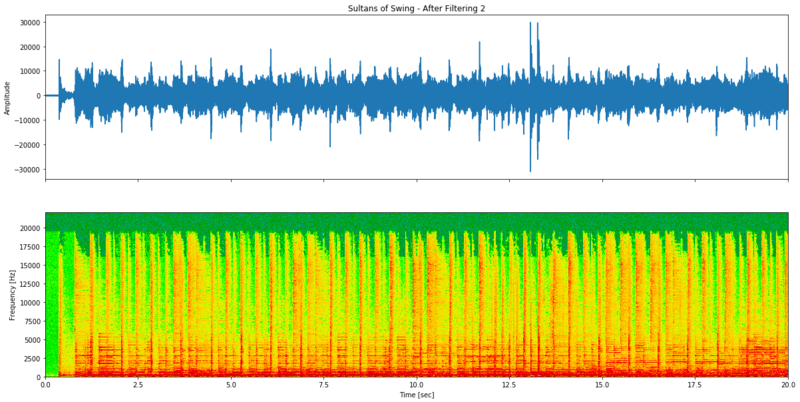 The resulting sound does not sound very natural. But the voice was filtered! 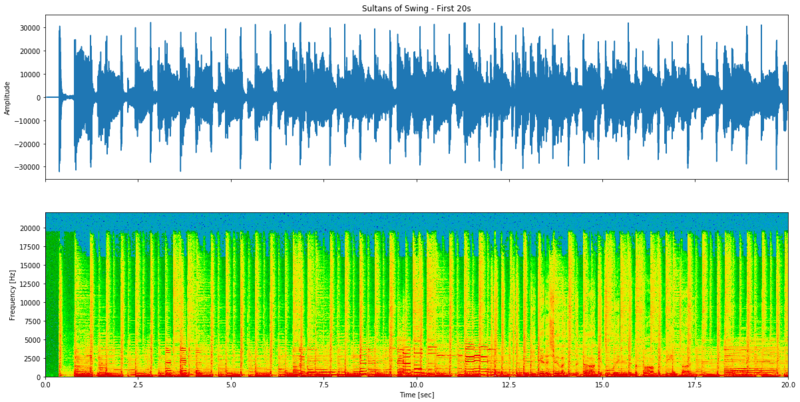 Apparently, a widely used technique to remove voice from songs is to mix both channels (left and right) together. Since the voice is very similar in both channels, when subtracting them, the voice will cancel. I really like the result because there's a lot of reverb and echo. In the third attempt, both attempts #1 and #2 are mixed together. Seems almost the same as attempt #2.